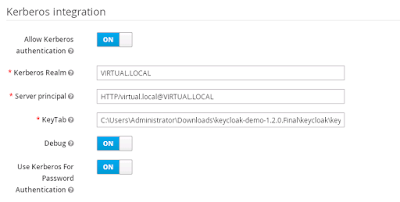 The following instructions show you how to configure Keycloak with Windows AD in order to use Kerberos authentication. Create a windows domain account called Keycloak. 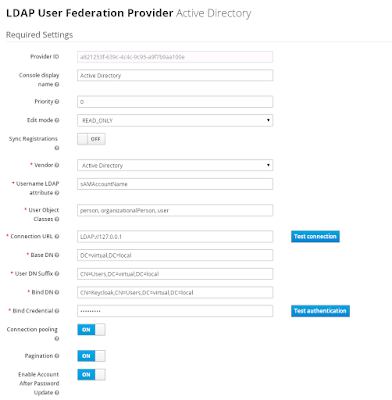 Configure the LDAP settings in Keycloak like this. Since we are running Keycloak on the domain controller, we reference LDAP via the local loopback address. Obviously this would change in most production environments. 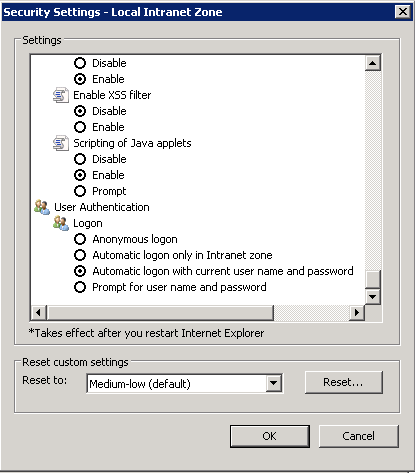 You will need to install the Java Cryptography Extension (JCE) Unlimited Strength Jurisdiction Policy Files for your version of Java. Download them for Java 8 at http://www.oracle.com/technetwork/java/javase/downloads/jce8-download-2133166.html, or Java 7 at http://www.oracle.com/technetwork/java/javase/downloads/jce-7-download-432124.html. Don't use port names in the SPN. By default Keycloak will run under port 8080, but this must not be added to the SPN, even though SPNs can contain port details. To make use of Kerberos authentication from a Windows client, the Keycloak server has to be in a Internet Zone that has User Authentication -> Logon -> Automatic logon with current user name and password enabled. 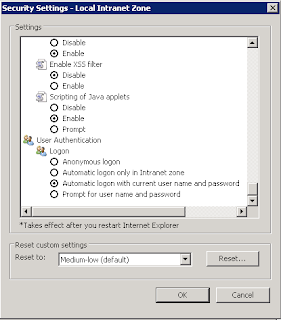 Chrome and IE both respect this settings. To enable Kerberos authentication in Firefox, you need to add the Keycloak domain to the network.negotiate-auth.trusted-uris setting in about:config. http://sourceforge.net/p/spnego/discussion/1003768/thread/960ba7ad/ has some useful information that can be used to debug exceptions. This page can be used to quickly test the ability for a client to log in. Get the keycloak.json file from Keycloak itself. Builds of Java 8 above 1.8.0_31 have a bug that will throw the Defective token detected (Mechanism level: GSSHeader did not find the right tag) exception. See http://sourceforge.net/p/spnego/discussion/1003769/thread/700b6941/#cb84 for details.